Designed to be an extra durable single speed cog option, the Stainless Steel cog features extra tall teeth and a wide 4.5 mm base to limit freehub gouging. compatible with 9,10,11 speed chains. Made from hardened and electropolished 416 stainless steel. Material: Stainless Steel. Tooth Count: 16. 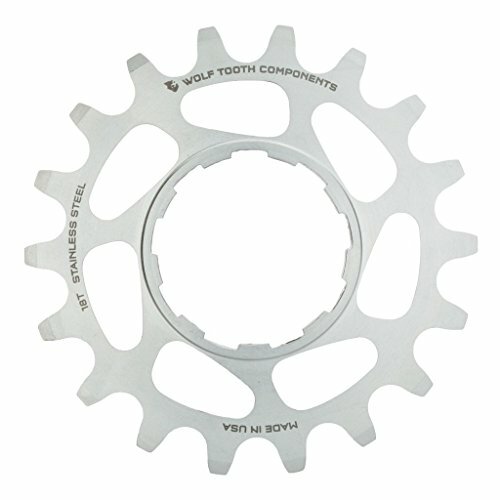 Designed to be an extra durable single speed cog option, the Stainless Steel cog features extra tall teeth and a wide 4.5 mm base to limit freehub gouging.